Over the years of writing detailing articles and educational material, I received countless requests for auto detailing training from professional detailers that were interested in stepping up their paint correction skills. 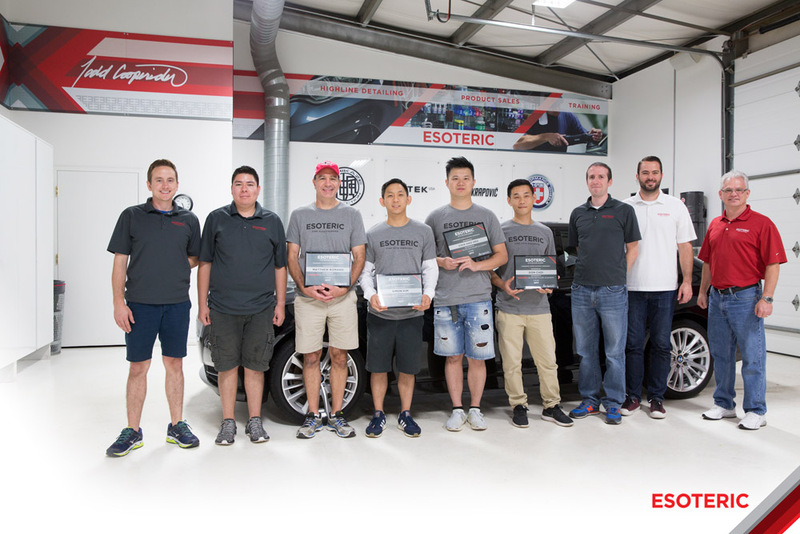 Given that demand, I established the Esoteric Elite Detailer Academy where detailers from around the world can attend and learn not only the most modern and responsible paint correction techniques, but they will also be trained on on a wide variety of products and tools that they might not have had had exposure to otherwise. This intensive 2-day course will be held regularly at the beautiful ESOTERIC - Fine Auto Finishing headquarters in New Albany (Columbus), Ohio. Pay over time! Select "PayPal Credit" when checking out to pay for this class over 6 months. 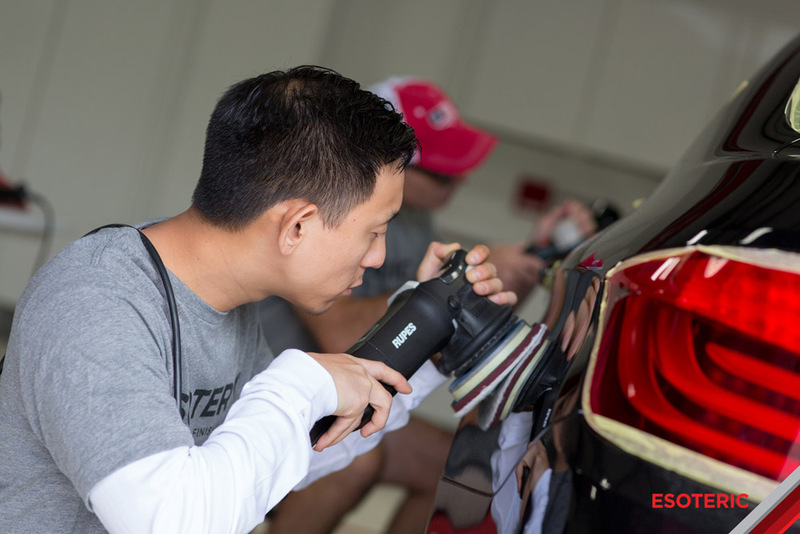 The Elite Detailer course is recommended for both seasoned veterans, and those new to machine-polishing. 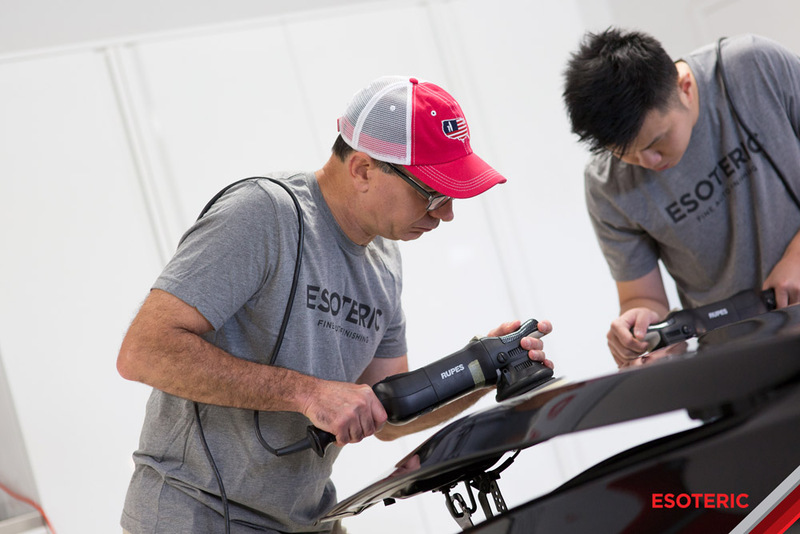 The class is limited to just 5 students, and is taught by a Master Detailer who still actively perfects cars using modern tools, products, and techniques. 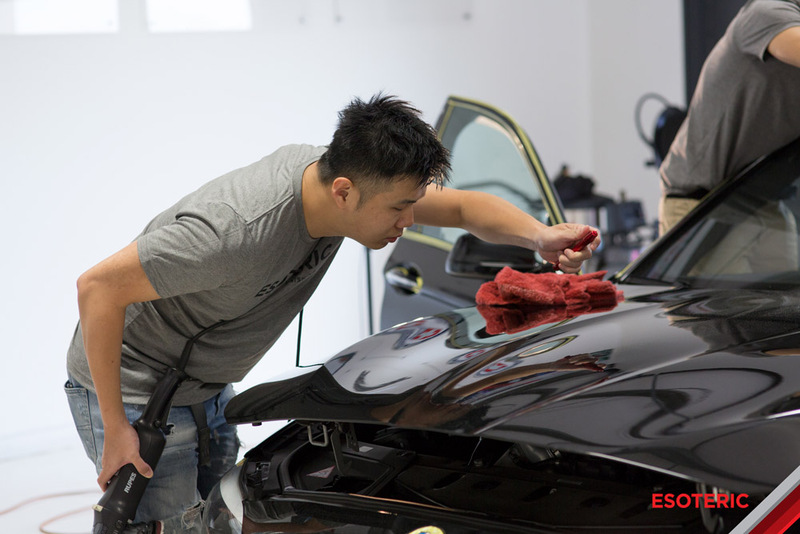 While predominantly attended by new detailers, or those ready to start a detailing business, we also have plenty of students who have been detailing for many years, but wish to improve their skillsets. Additionally, we have trained a considerable number of people who are simply extreme automotive enthusiasts who wish to learn how to polish their own prized possessions. 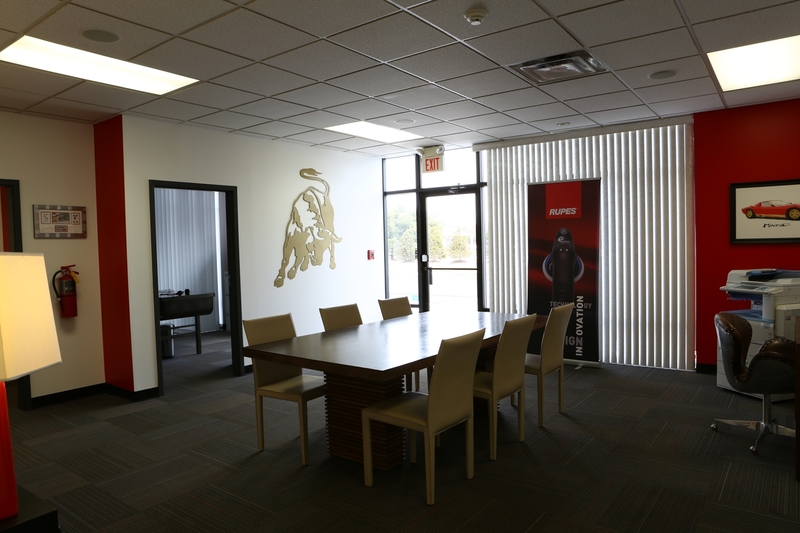 The small-class setting allows us to closely monitor and personally educate each individual student, and when complete, you will have the machine-polishing skills to bring a car’s finish to the next level and beyond. ½ day of comprehensive classroom time discussing a variety of Detailing Subjects, Product Recommendations, and Pad / Polish combinations. Glass / Ceramic / Quartz coating application and removal. Signing up for this class was one of the best decisions I ever made when it comes to getting my business going. Thank you for everything! 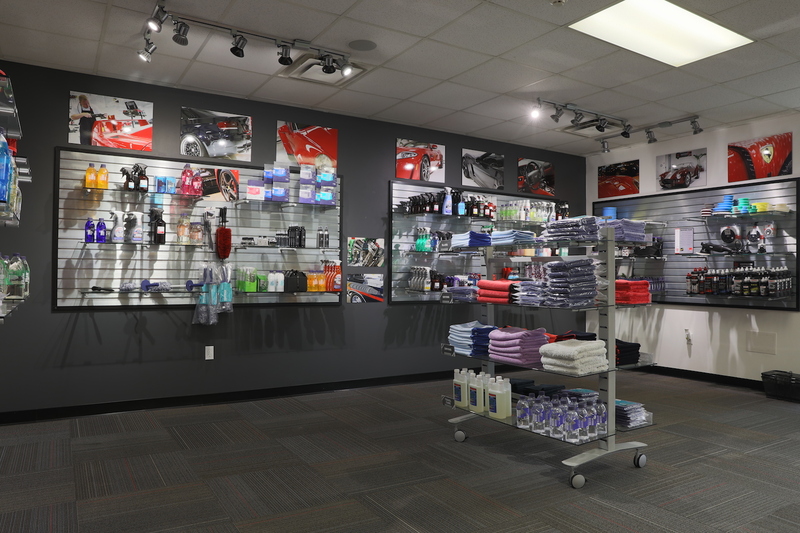 Students will also receive product training and wholesale accounts on all detailing products and tools sold by EsotericCarCare.com! Thank you again Todd! It was an amazing learning experience and I would highly recommend it to any detailer new or seasoned to attend this class. 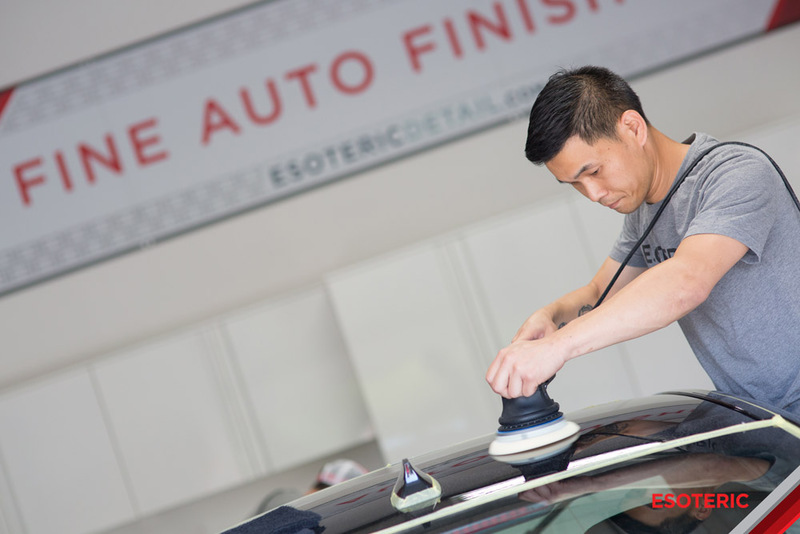 Questions: To inquire about upcoming classes, please call us at 614-855-6855, or email at Training@EsotericDetail.com. TUITION FEES: The cost of the 2-day course is $1,500. Flights: For those flying in for the class, you should arrive at the John Glenn Columbus International Airport (code: CMH). Hampton Inn & Suites New Albany (Shuttle service, brand new, very nice, and right around the corner from the ESOTERIC Headquarters). NOTE: We are sorry, but the training course will not be available for those residing in the greater Columbus area (Columbus, inside of 270, Powell, Westerville, New Albany, Gahanna, Pickerington, Blacklick, Grove City, Hilliard, Lewis Center). 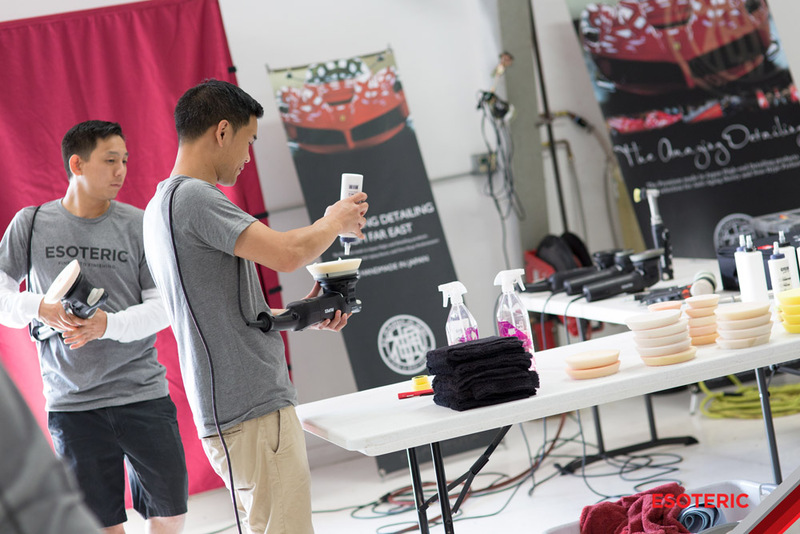 The Elite Detailer Academy was the very FIRST training center in the world to be designated as a RUPES Authorized Training Center! Upon completion of the class and presentation of their diplomas, students are now considered Elite Detailers! Great Class - Don't Hesitate! I cannot over emphasize the benefits of the Elite Detailer Academy enough. Even as an experienced detailer, I was able to learn new techniques and efficiencies. Todd preaches techniques and product combinations that are tried and tested by Esoteric. The time saving benefits alone from that can easy recoup the cost of the class. The facility & employees are top notch and very welcoming. The very small class sizes are invaluable to providing one on one instruction. Any questions you have during the class and even after will be happily answered!